Ever heard of Efavirenz? Not many have, but pharma circles know its importance. It is an active pharmaceutical ingredient (API) - the vital substance in a pill or a capsule - in many anti-retroviral or AIDS-treatment drugs. And half the Efavirenz in the world is made at the Hyderabad-based Laurus Labs. "My company does not want to be just another player in any product," says Chava Satyanarayana, Founder and CEO. "We want to be in the top three in every product we make. We do what we are good at and not what everybody else is doing." This focused view has enabled Laurus Labs to grow its revenue from Rs 9 crore in the first year - it was founded in September 2005 - to Rs 1,200 crore in 2013/14. In October-end, it also got Rs 550 crore in funding from private equity firm Warburg Pincus for an undisclosed stake. Laurus Labs prioritises research and holds more than 100 patents. 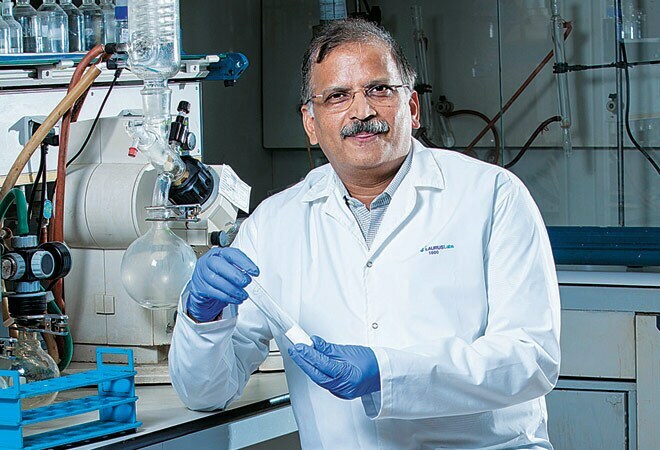 "For a typical pharmaceutical entrepreneur, the usual practice is to first set up a factory, then take up solvent recovery, followed by treatment of waste and only then look at research and development," says Satyanarayana. "But we went the other way round, starting with research." It first took up oncology drugs before adding anti-retroviral ones. "We worked on the problems faced by this segment and found solutions to them," he adds. What are these? A major issue with many drugmakers when Laurus Labs began operating was the cost and supply of APIs - many companies had to import expensive reagents, all the way from Europe then, to make these APIs. Laurus Labs found local substitutes. "In one anti-retroviral, we replaced a reagent called di-ethyl zinc, which cost $60-70 per kg, with a mixture of sodium hydride and zinc chloride, which cost $6 a kg and was easily available in Hyderabad itself," says Satyanarayana. "That was our first breakthrough in late 2007-early 2008." Another hurdle is scalability, which too Laurus Labs has successfully overcome. Starting with 15 people, it now employs 2,000 - 600 of them in R&D - and has two factories, both in Visakhapatnam. The Warburg Pincus investment will be used to set up a third unit in the same city. Laurus Labs makes six anti-retroviral APIs and 20 oncology-related ones. "In three of the six anti-retrovirals, we have made substantial improvements and they are generating a lot of revenue," says Satyanarayana. Its five most successful APIs - of which Efavirenz is one - together have a global market share of over 25 per cent. Its five biggest clients are Mylan, Aurobindo Pharma, and Strides Arcolab in India, Hospira in the US, and Aspen in South Africa. "These were our top customers by 2009 and they are our top customers today, contributing 75 per cent of revenue," says Satyanarayana. The customers, in turn, readily endorse Laurus Labs product quality. "It is a highly focused and customer-centric company," says N. Govindarajan, CEO, Aurobindo Pharma. Satyanarayana is also careful to give his scientists full credit. "The patents we hold are no doubt credited to the company, but we make sure the chemist responsible also has his/her name included," he says. "Scientists need respect and we make sure they get it." Laurus Labs' attrition rate at the research scientist, manager and above levels is barely two to three per cent. "We recruit the right people and retain them, spending substantially on periodic training," he adds. Laurus Labs currently makes only APIs, but the third unit will make finished drugs as well, making it an integrated drugmaker. "But we want a business model that does not complete with our customers," says Satyanarayana.